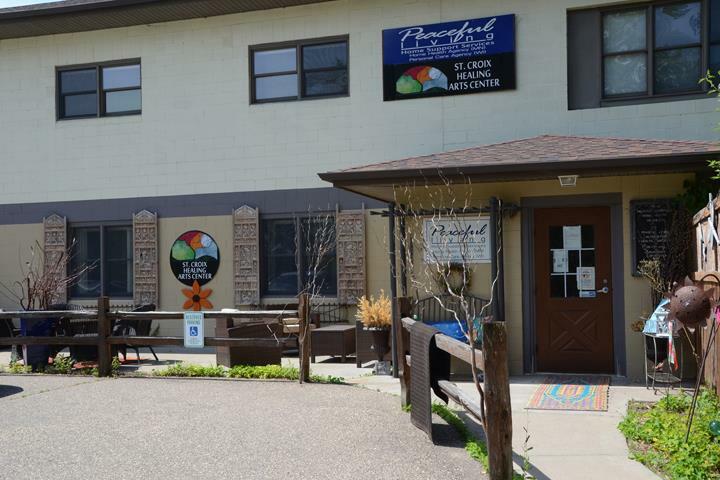 Reiki Shamanic Healing St. Croix Healing Arts Center – You know the saying ‘new year, new me’? Well, that’s what I am going for … with a focus on putting myself first instead of always last. Last year I had so many things that I wanted to experience but always ended up cancelling appointments or putting things off because of work. This year I plan to follow through. 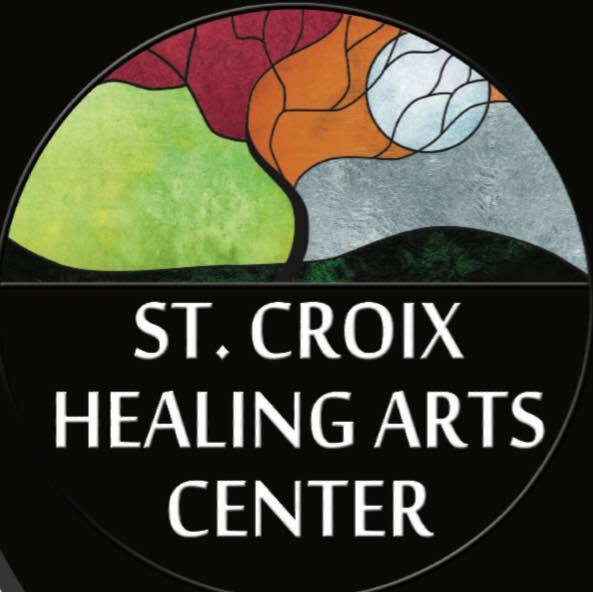 The first thing on my 2018 to-do list was to visit St. Croix Healing Arts Center in Hudson, WI. I did just that last night and I am already trying to figure out when I can go back. My appointment was to see Irene for a mix of Reiki and shamanic energy healing. She asked if I would like to add a medium to my session. The medium could join us and write everything down that she gets from my spirits. Of course, I said yes. Bring everyone in, the more the merrier. The session I chose was called Dynamic Duo 90-minute session. For ‘We’ve Tried It’ followers only, if you make a Dynamic Duo appointment and mention that you read this article you can get a 90-minute session for $100. This was a very personal and emotional session for me. I left feeling light and free of so much darkness that I have been carrying with me for so many years. Some very special things happened during my time with Irene and Stephanie. Very quickly into my time we were joined by my grandmother who had some very specific messages for me. The feeling of hearing that your grandmother has joined us is indescribable. During the 90 minute session, Stephanie recorded 5 pages of messages imparted by my spirits and angels. My evening was fascinating and I look forward to going back. 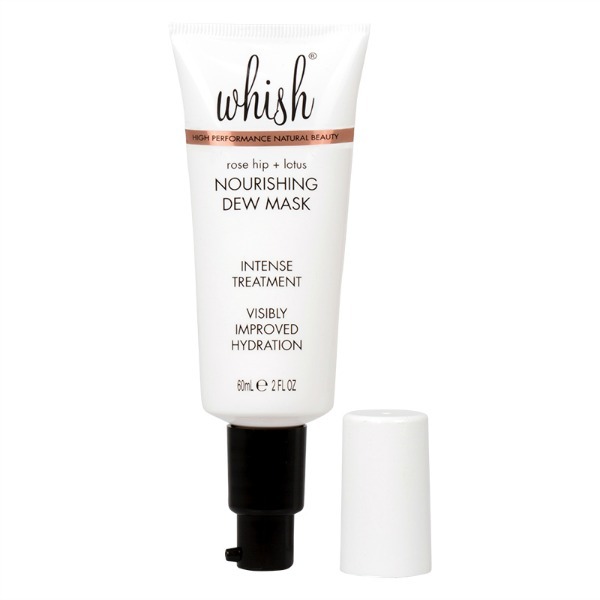 Offers a powerful self-treatment component! Easily learned by all ages and levels of education! St. Croix Healing Centers shamanic energy healing sessions are based on the healing techniques from the shaman and medicine people. 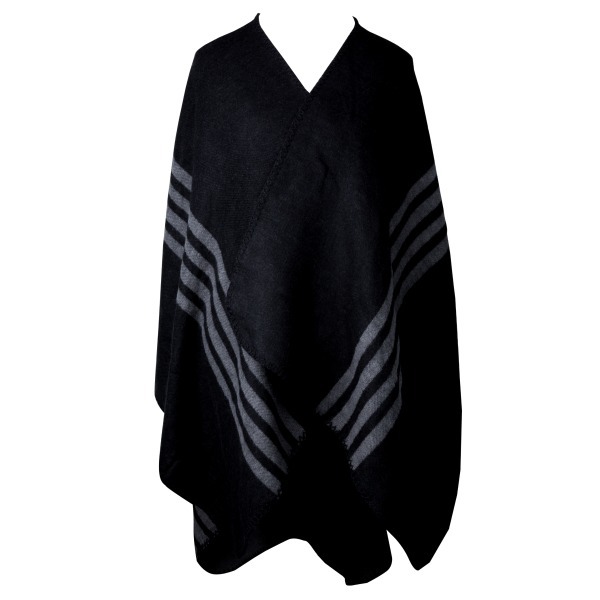 Irene completed her education with Amy Wilinski, who has trained with practitioners from various cultures, traditions and countries; including the Peruvian medicine people. Your session will assist you in cleansing your energy field of the heavy energies you carry and assist in releasing the stories that impact you and which keep you from living the life you are dreaming of. Other techniques used during your session may include: soul retrieval, removal of crystallized energies, power animal retrieval, chakra balancing, releasing karmic and ancestral imprints, past-life healing, and repairing the auric field. Shamanic Energy healing sessions are a powerful and deep level of healing work. It can help you to release long-standing issues and move forward on your path in life. A session typically lasts 90-120 minutes. Stephanie began working on her gifts in her early 30’s and took psychic and intuition development classes, and it all took off from there. She is a psychic medium, reiki practitioner, crystal healer, animal communicator, angel channeler, spiritual guide and mentor. Irene has a Masters degree in social work and is a Master/Teacher Reiki Practitioner. She is dedicated to the balancing of mind, body and spirit offering stress management through relaxing biofeedback sessions and Usui Reiki (energy healing technique). 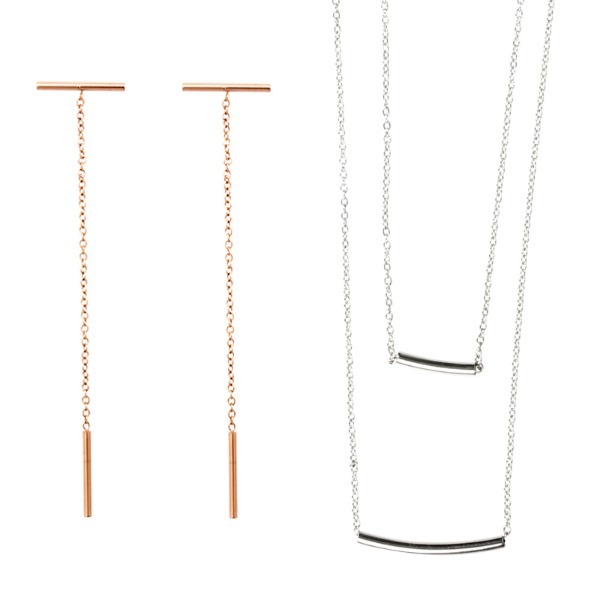 Irene teaches a four week series on the use of pendulum as a means of self- empowerment. These teachings help clients reduce stress related to health and emotional imbalances with the belief that physical blocks are connected to a person’s emotional wellbeing. There will be an initial assessment of your current situation and health concerns. During a session clients set goals for personal change related to mind, body, and spirit. As a professional, she will provide an ongoing partnership that includes creating awareness and clarity, designing actions, and enhancing skills. Irene believes that a holistic approach is vital for self –empowerment and awareness. This approach encompasses the whole person – mind, body and spirit. A holistic approach includes physical, emotional, spiritual, social and mental well-being of the person. Call to make an appointment today to see Irene or Stephanie, I highly recommend the Dynamic Duo Session. 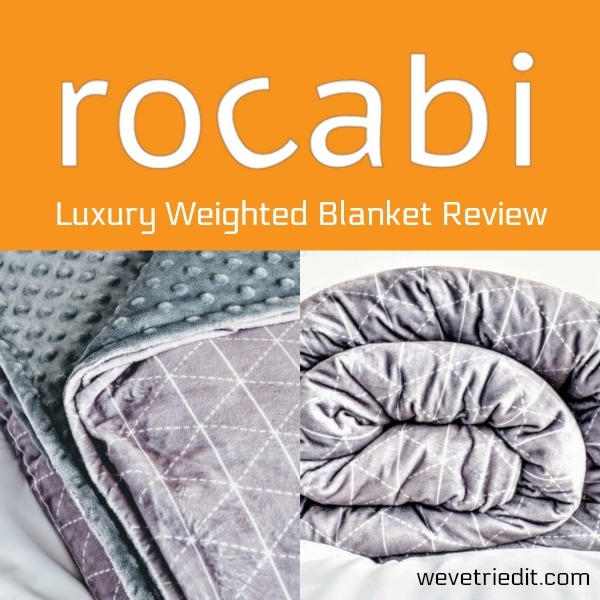 Don’t forget to mention We’ve Tried It for the discount! Take a look at their website for other services they have to offer. Stillwaters Healing Therapeutic Scalp Massage Review – In 2017 I plan to make a conscious effort to make time for myself. I am starting off my mindful journey at Stillwaters Healing. 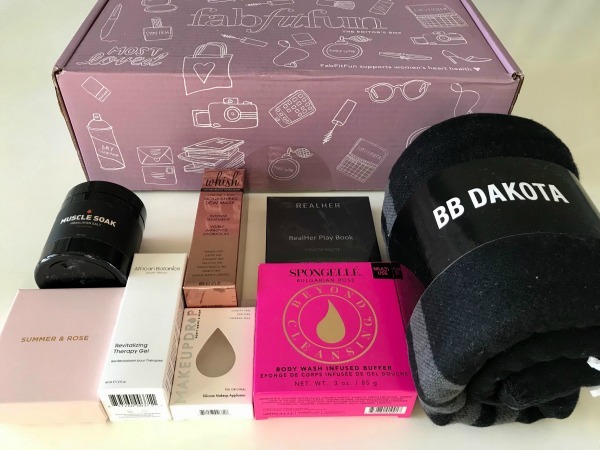 Our plan is to review many different self care options. Stillwaters Healing had a calming effect on me within minutes of entering the building. It may have been the smell of essential oils lingering in the air or the soft sounds of waves in the background. Possibly just knowing that I was about to be pampered, either way I was relaxed. The aromatherapy scalp massage was therapeutic, relieving my stress and tension. I am trying to grow my hair out and was told that scalp massage can stimulate hair growth. Would getting a daily scalp massage be a bit overboard? 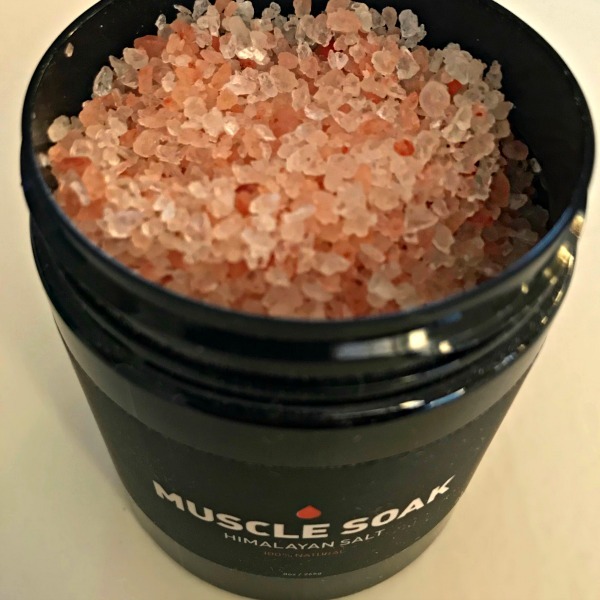 Owner Shawnah Breault used a blend of warm coconut, peppermint and rosemary essential oil, which smelled heavenly. She applied the warm oil to the base of my hair and massaged into the scalp. The sound of wave and birds chirping in the background almost lulled me to sleep. The scalp massage lasts for 20 glorious minutes. In addition I should mention that there was no speaking during the massage which is a plus for me. Some massage therapists like to chit chat, me not so much. I don’t know about you but it ruins the experience for me. Shawnah recommended that if I was able, to leave the oils in my hair overnight and it could aid in my sleep and be good for my scalp and hair. I was a bit nervous that my hair would be lifeless in the morning, boy was I wrong. My hair felt and looked the best it has in a long time. What a great experience, I highly recommend going to Stillwaters Healing for a scalp massage. I left feeling relaxed and at peace. In conclusion I will be going back, my next visit I plan on getting a hand and foot massage. Services offered: Massage, Reflexology, Scalp Treatment and Stone Massage. You can schedule your appointment on Stillwaters Healing website and be sure to follow them on Facebook! Thank you Shawnah for starting my year off right, I look forward to returning! Phatphood Review: Truce Cleanse Part 2 – It’s a new season, and that means time for an all new seasonal 100% organic, raw, vegan and gluten free cleanse from Minnesota’s very own, TRUCE. 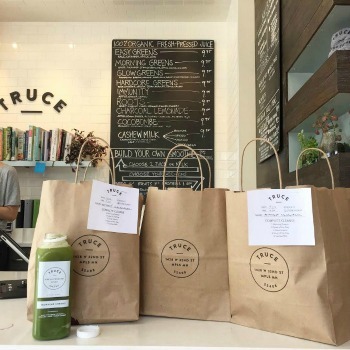 As you may recall, during the Winter season I did their newly offered soup cleanse, you can find that review here. This time around I wanted to cleanse myself after a recent vacation and give their new Complete Cleanse a go. Now, I was told that I can consume my 5 daily products in any order, but I went by the order that they had basically laid out and typed-up for me and attached to each of my daily supplies. 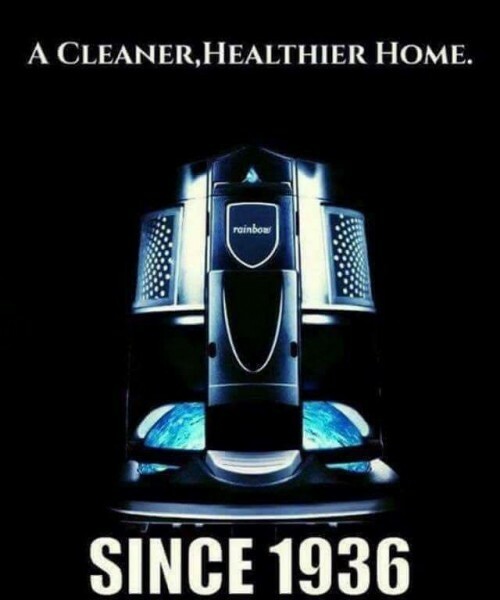 I started my mornings slamming a bottle of room temperature water as I always do, and continued drinking another 8 to10 bottles of water throughout the day. 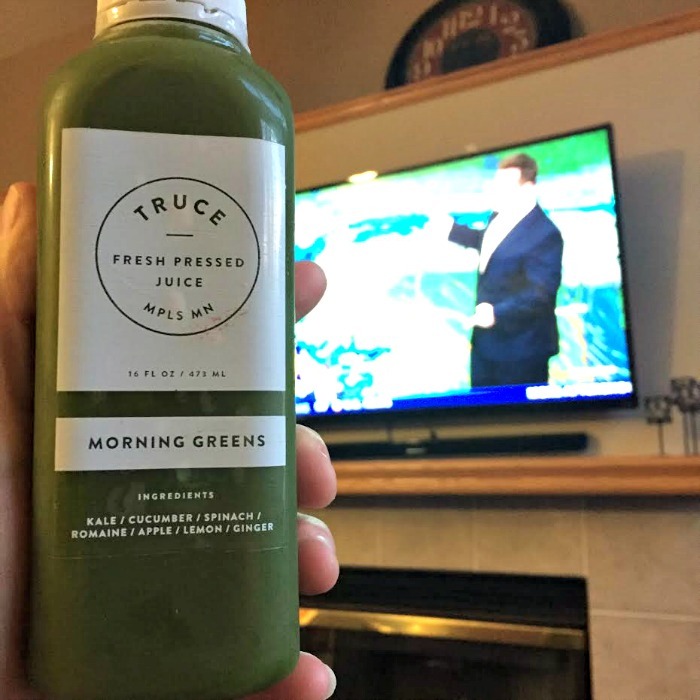 I then enjoyed the remainder of my morning routines with my first juice, Morning Greens; Kale, cucumber, spinach, romaine, apple, lemon and ginger. 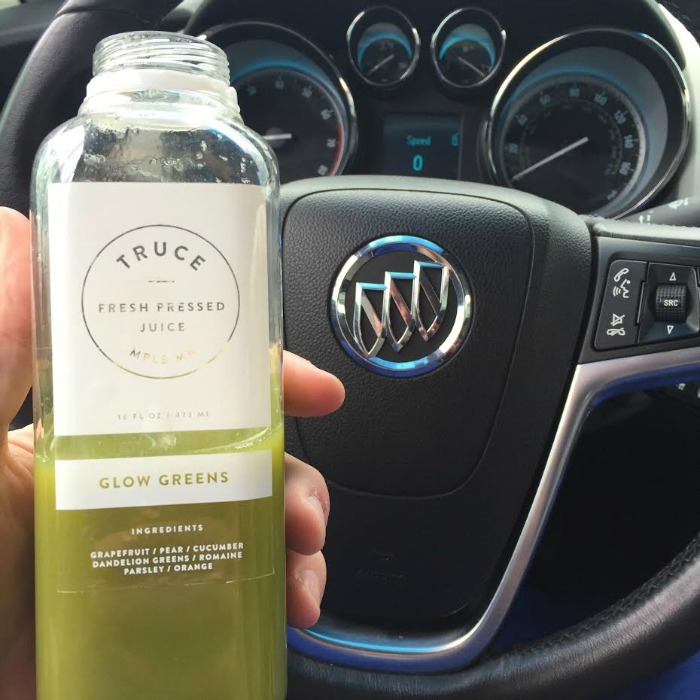 This is your typical green drink that you may have read about (mean green), or may have had with most green juice cleanses that are out there. 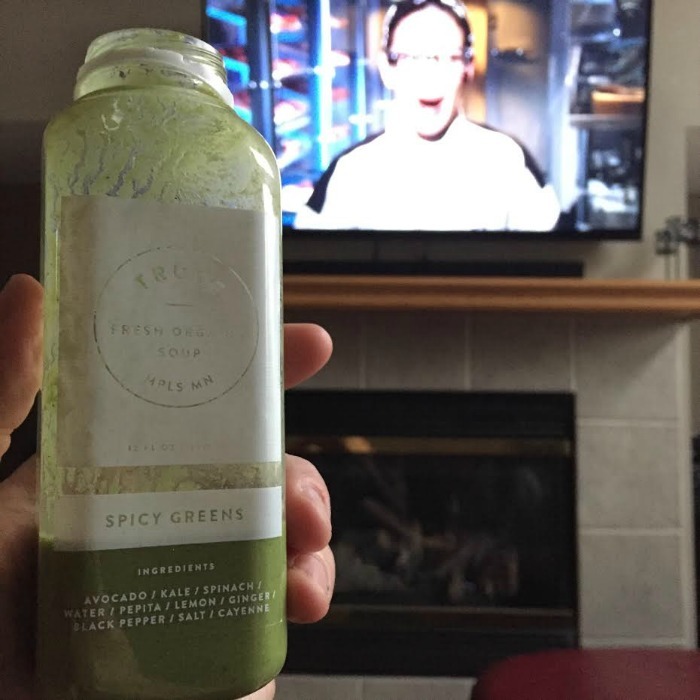 It’s good and refreshing and gave me a good amount of energy to start the day out. I felt like it was a long stretch before I could enjoy lunch, so I had a small handful or two of raw nuts. Figured since this is an all raw cleanse that this wouldn’t do any harm at altering this three day diet I put myself on. Plus I was hungry! Only on the first day though, the ingredients in each is designed to hinge your appetite as well as be a sufficient amount of daily requirements. So the next two days my appetite was balanced. Lunch time, woo-hoo! 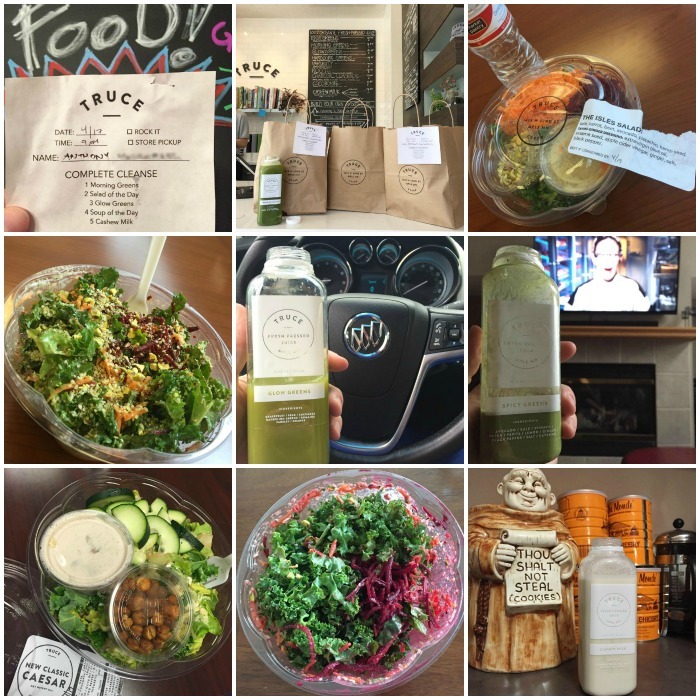 For the three-days, TRUCE gave me two different salads; The Isles Salad, which consisted of kale, carrot, beet, avocado, pistachio and hemp seed. Also included a Tahini-ginger dressing; extra-virgin olive oil, sesame seed, apple cider vinegar, ginger, salt and black pepper. Now normally I could consume a salad in 5-minutes-or-less. 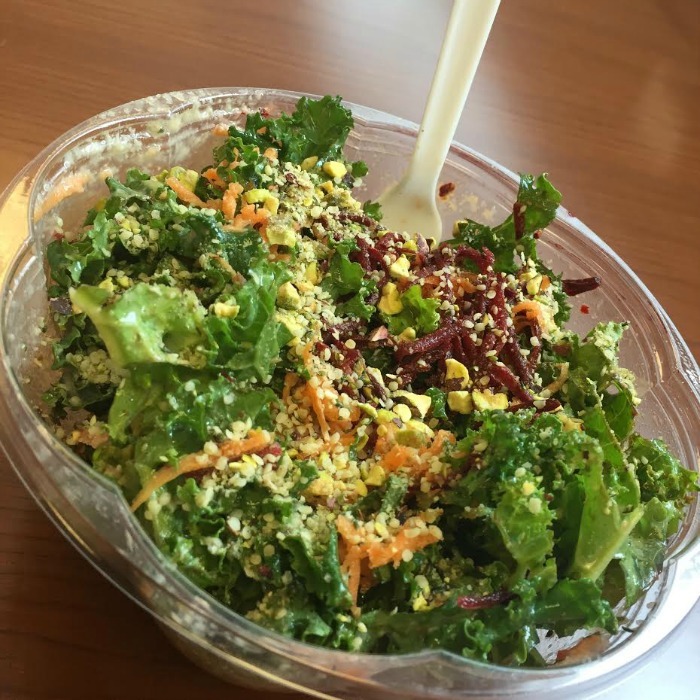 Not today, this mostly kale salad took me a good half hour. I’m pretty sure this was my first time eating raw kale. I’ve had it baked, sautéed and juiced before. This was a lot of work to chew. The beets, carrots and dressing added a good amount of moisture, but I didn’t give it much time to absorb. I plan on doing that when I eat the second one of this creation they gave me. It was still very good tasting, just time consuming and not all the fun. Also, I don’t recall having any avocado, especially like the picture shown on their website. So this was missing in two salads. 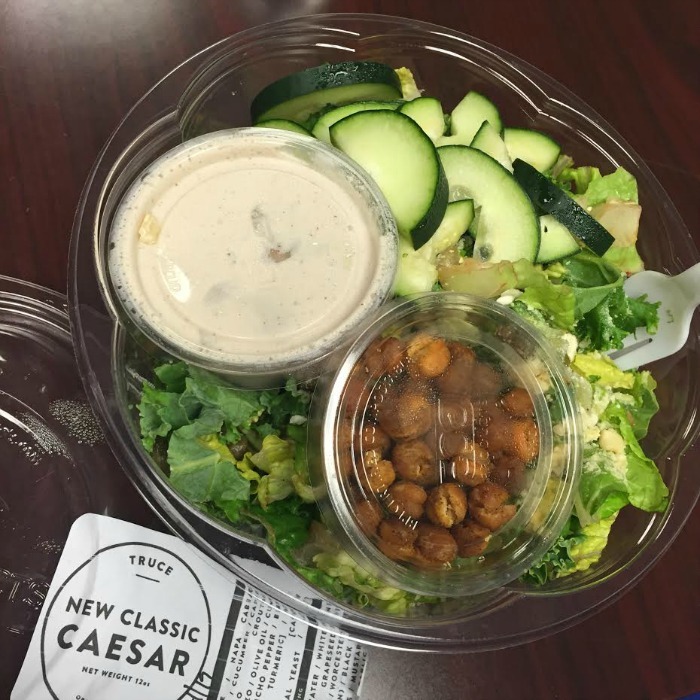 The second salad that I had on the next day was the New Classic Caesar; Kale, cabbage, cucumber and capers with curried chickpeas. The dressing was made from cashews, grape seed oil, white wine vinegar, vegan Worcestershire, dulse flakes, garlic lemon, mustard seed, salt and pepper. 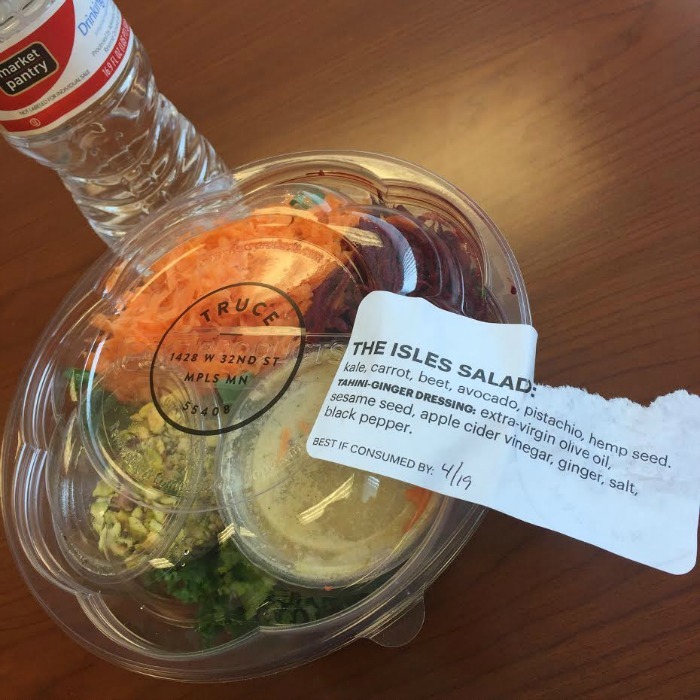 This salad was much better and easier to eat since there wasn’t a large amount of kale. My midday snack was another juice called Glowing Greens; Grapefruit, pear, cucumber, dandelion greens, romaine, parsley and orange. Now this was a tasty refreshing concoction, a little more pleasing than the morning greens. I was told my skin had a nice glowing complexion throughout this cleanse, I give credit to this juice right here. My dinner every night was their Spicy Greens Soup; Avocado, kale, spinach, water, pepita, lemon, ginger, black pepper, salt and cayenne. Now even though this is a soup, it was recommended not to heat it. This is one of the same soups that I had with the previous cleanse I had from TRUCE and I treated it the same way, by letting it get to room temperature and then enjoying it while getting some work done. It is spicy like its name, mainly black pepper spicy, nothing that lingers, overall good tasting and obviously a bit thicker than the juices. This last one I considered a dessert that I looked forward to having every night. 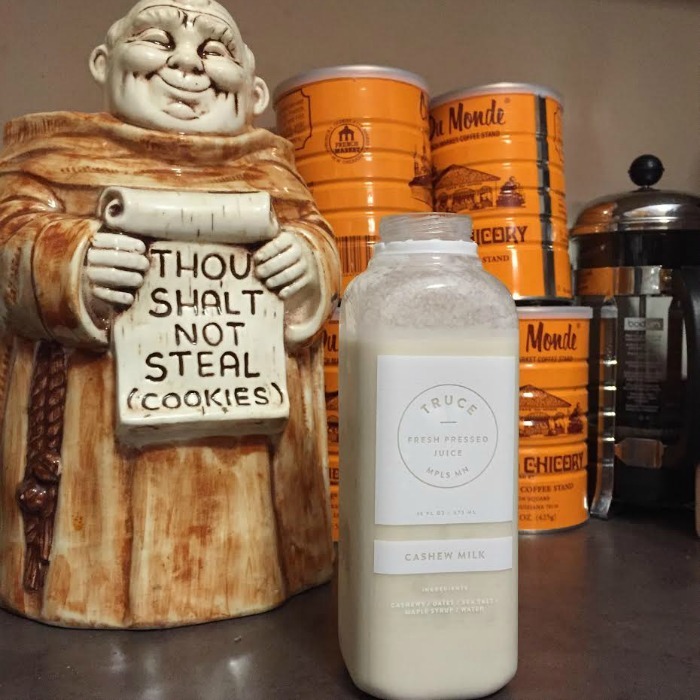 It was so smooth and delicious as well as a perfect way to end my evening, Cashew Milk; Cashews, dates, sea salt, maple syrup, water. I rarely drink milk these days, so I was a bit skeptical on this one, but it really won me over. It felt rewarding having this. 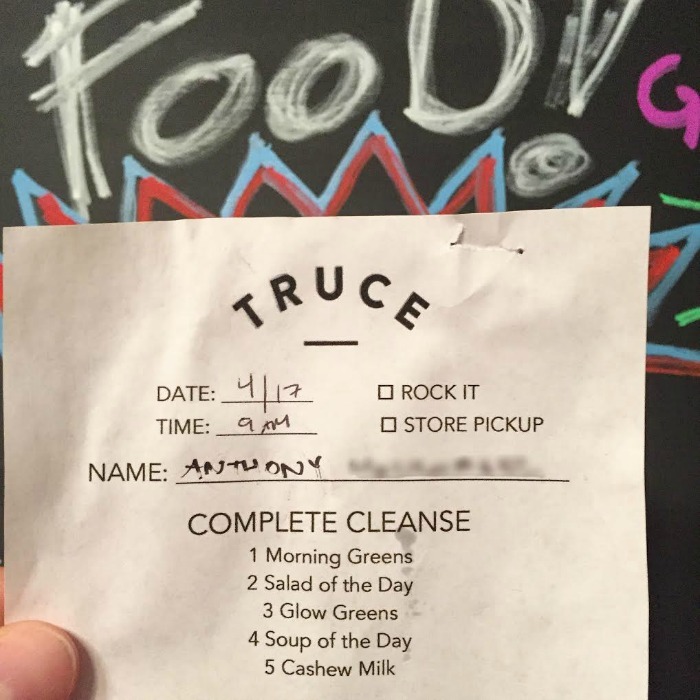 Overall this is a great cleanse offered by TRUCE for approximately $50.00 a day. I had more energy than I did while eating my normal diet. 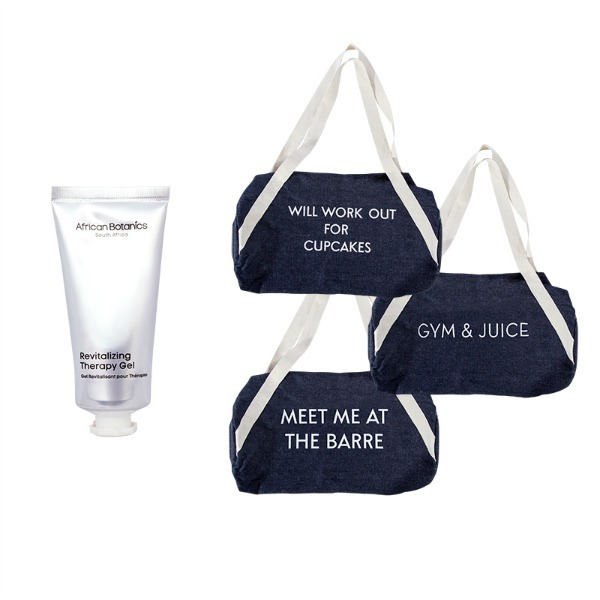 Give it a go and try something new while shedding a few pounds while doing so, you will feel wonderful! This Saturday, April 30th marks their 3rd year in business. So it would be a good day to go celebrate with them from 9am-5pm while enjoying some special giveaways and the chance to win a one day cleanse. 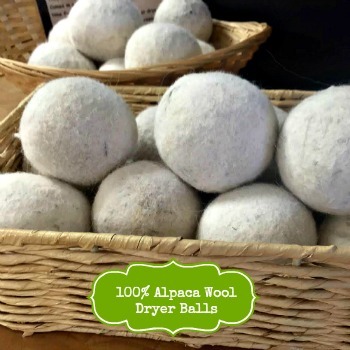 Alpaca Wool Dryer Balls Review: Go GREEN and save money was the promise when purchasing a set of 100% Alpaca Wool Dryer Balls. After a month of using them for all of our laundry I am definitely sold. Alpaca dryer balls are felted alpaca yarn designed to bounce around the dryer with the laundry to shorten drying times and reduce wrinkles without exposing your clothes to any of the chemicals in dryer sheets or plastic dryer balls. 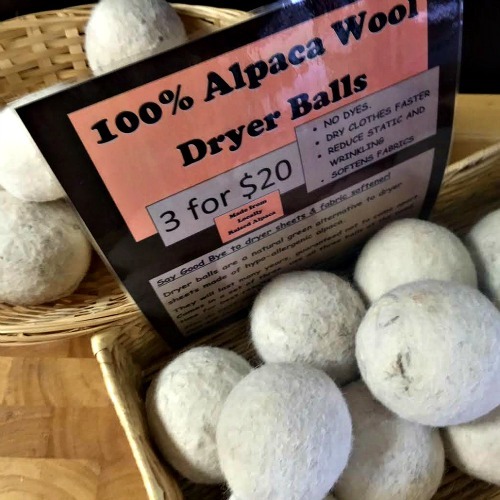 You can re-use the alpaca dryer balls for years. 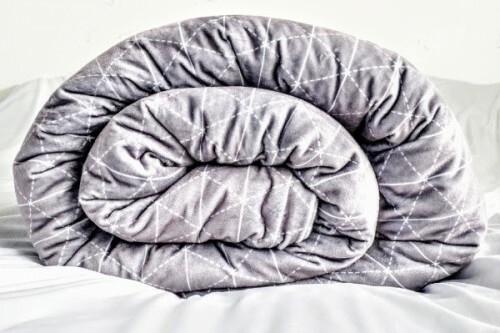 The best results come when using 3 dryer balls. As they tumble around the dryer the alpaca balls fluff the laundry and gently pummel it to make it softer. 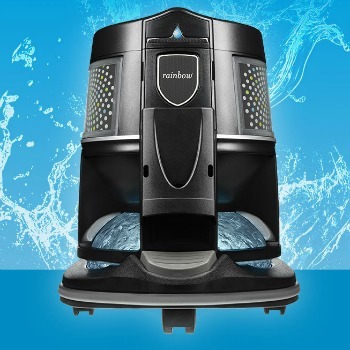 They can also reduce drying time by about 25% by absorbing moisture, which can result in saving money on utility bills. The alpaca balls help reduce static, but be careful not to over dry the clothes, which can result in the dreaded static cling. I have only noticed minor static in a load of towels which I had accidentally set on the extra dry setting. 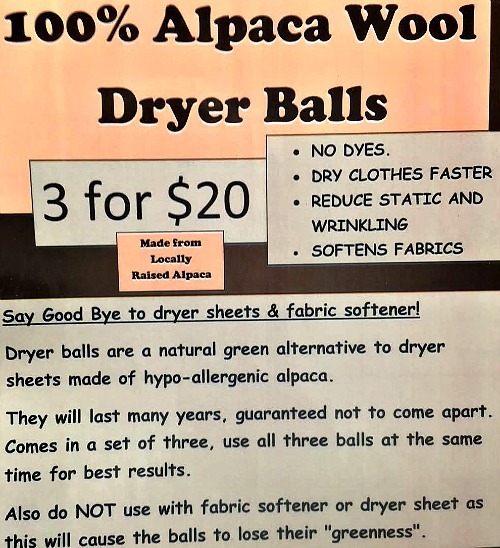 Speaking of loads of towels, the alpaca dryer balls won’t affect the absorbency of the towels like dryer sheets do. 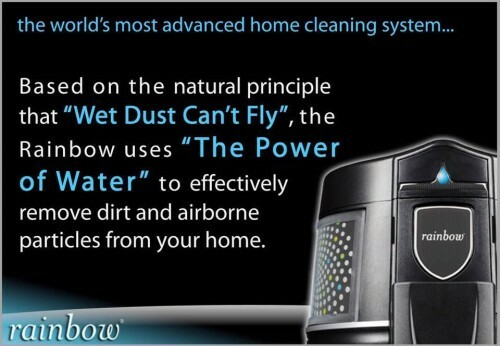 The first use is best with a load of wet towels. The balls may initially become a little fuzzy. If this happens, carefully trim off the fuzzy hair with a pair of scissors, and you’re good to go. The dryer balls may shrink slightly with continued use, which is normal. Do you really like the scent of dryer sheets? Use essential oils to scent your dryer balls. 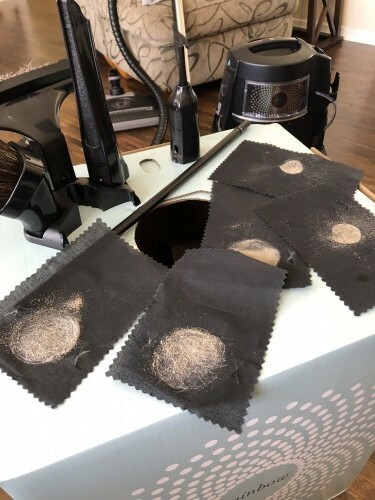 If you do use essential oils send the dryer balls through alone on a short cycle to dry the oil, otherwise you may get oil spots on your clothing. 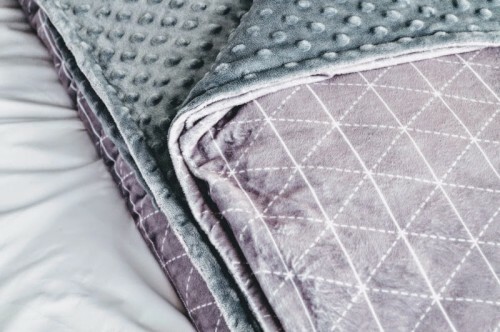 Do you have a money saving tip or product we should try? Comment below we would love to hear from you. We purchased our Alpaca Balls at Specialty Meat & Gourmet in Hudson, WI. 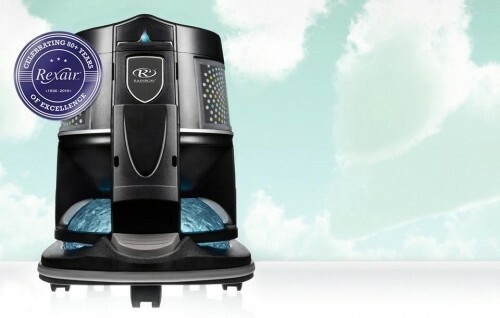 Thanks Linda and Steve for the recommendation I will be in to get some for Christmas gifts. 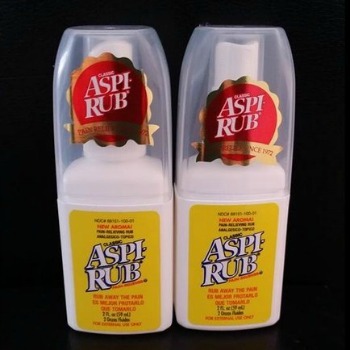 Aspi-Rub review: Relieving pain since 1972. Aspi-Rub spray is a life saver when is comes to any kinds of aches and pains. Not only did we try it out, we had our friends give it a try as well. 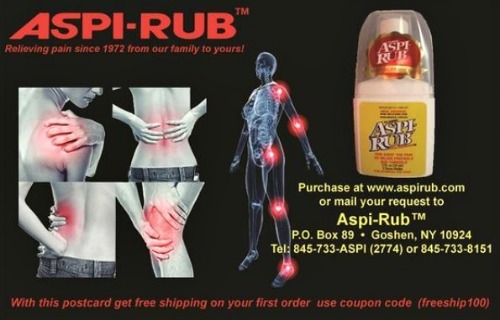 Aspi-Rub is a potent and effective topical analgesic for the temporary relief of arthritis, rheumatism, sprains, back aches, muscular aches and cramps. 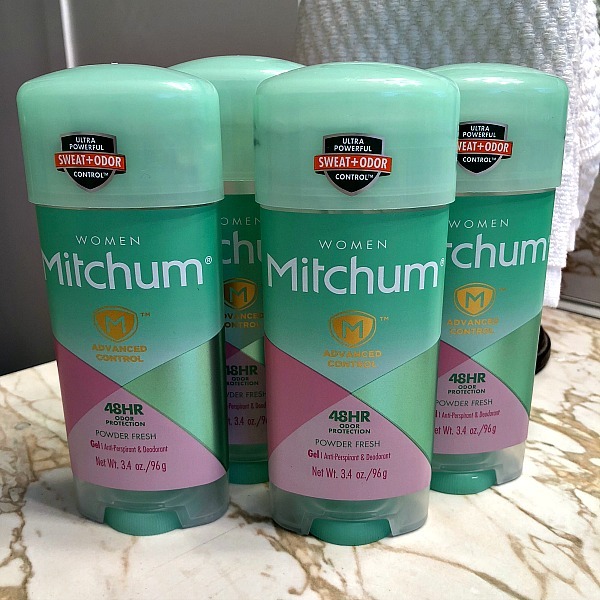 Just spray the affected area and gently massage for long lasting relief. 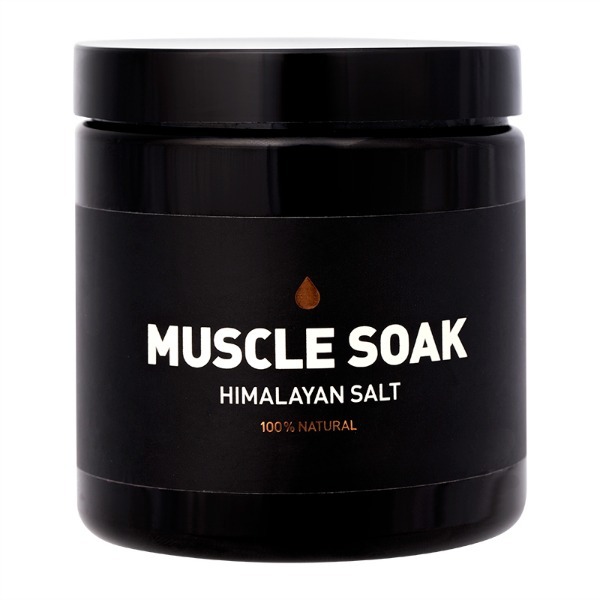 In order to give a better review we shared this product with a friend who works out everyday and suffers from sore muscles. Another who has been having knee issues. A family member who was suffering from intolerable back pain and we just it for shoulder pain that was most likely caused by stress. In each case, everyone said the pain was taken away almost immediately. It is extremely fast acting. The only complaint was the smell. So we asked Aspi-Rub about the smell. 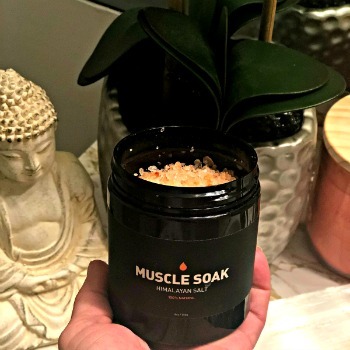 Having been in the business for years, Anna said that the reason why all liniments have a smell is because the active pain relief and anti inflammatory ingredients all have a distinctive odor. Aspi-Rub adds peppermint oil to the spray to lessen the odor and make it a bit more pleasant. Personally I have used many different muscular pain creams and sprays and they all stink. I didn’t think Aspi-Rub was nearly as strong smelling as some. For me, the instant pain relief is worth a little odor. It truly works! You can purchase Aspi-Rub here or a participating Walgreens stores.